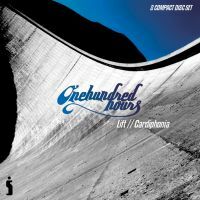 Although onehundredhours had their first release Cardiphonia on the emerge label, they had been receiving acclaim from an earlier independent release, Lift. Lift / Cardiphonia by Onehundredhours is published by Survivor Kingsway and is our 23360th best seller. The ISBN for Lift / Cardiphonia is SURCD5041. Be the first to review Lift / Cardiphonia! Got a question? No problem! Just click here to ask us about Lift / Cardiphonia. Now Playing: Taste and see Your browser does not support the audio element.